A DC motor is any of a category of electrical machines that produced mechanical energy into direct current. The most common varieties rely on the forces made by magnetic fields. Nearly every kind of DC motors has some internal mechanism, either electromechanical or electronic; to sporadically modification the direction of current flow in part of the DC motor. 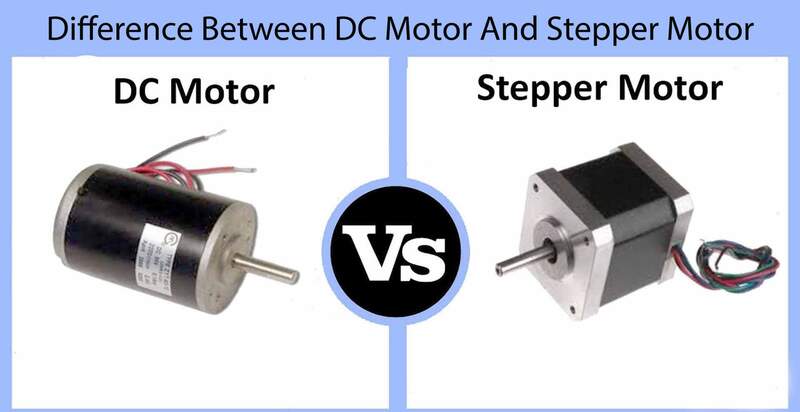 stepper motor also converts electrical energy into mechanical energy. but It is a brushless DC electric motor that divides a full rotation into a number of equal steps. The motor’s position can then be commanded to move and hold at one of these steps without any feedback sensor, as long as the motor is carefully sized to the application in respect to torque and speed. 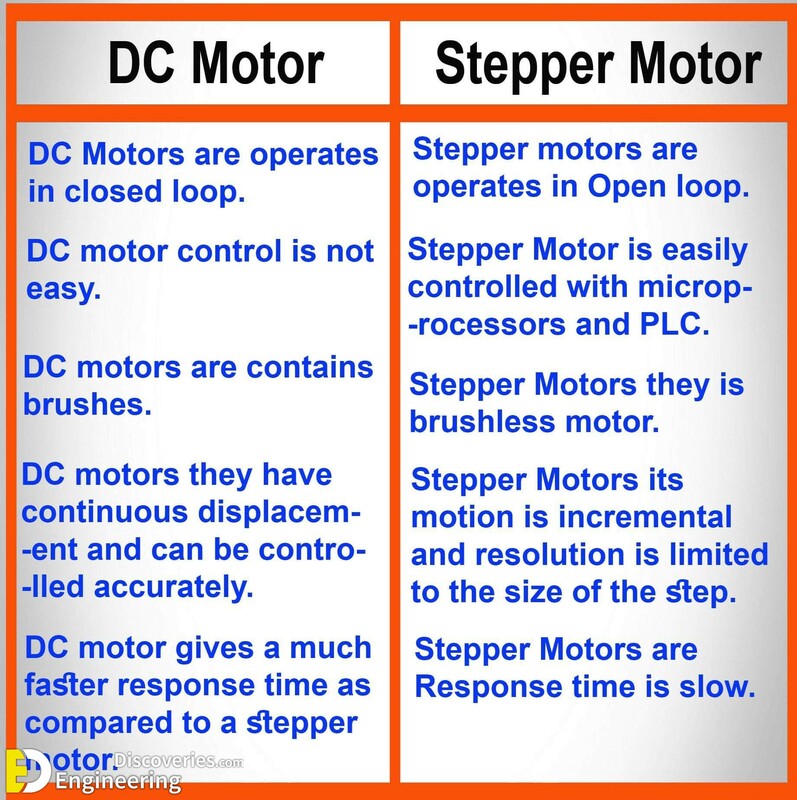 1- The stepper motor operates in open loop whereas Direct current motor operates in closed loop. 2- Stepper are are easy to control with the help of microprocessors and other controlling devices. Control of DC motor is not easy. 3- The Stepper motor is a brushless Motor, but the direct current motor contains brushes which cause problems such as wear and tear and sparks. 4- The motion of the stepper motor is incremental, and resolution is limited to the size of the step. DC motor has a continuous displacement and can be controlled accurately and positioned exactly. 5- Feedback control with DC motor gives a much faster response time as compared to that of the stepper motor. 6- The stepper motor can be slipped and gets out of control if overloaded and the error cannot be detected easily, whereas in DC motor the relays and overload protecting devices come into at the time of overloading and protect the motor from any damage.